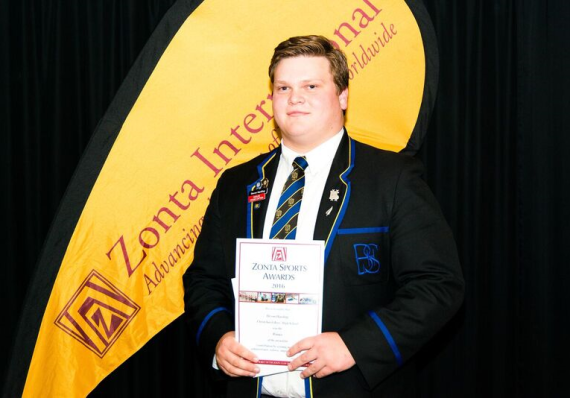 Devon recently won the 2016 Zonta Award (highest secondary school sports achievers in Canterbury/Westland) for most valued contribution to Sports Admin by an umpire, referee, coach or tutor for Rugby League. The 2016 judging panel included Anita Sutherland, Mike De Bono, Jon Peters, Aaron Webb and Dave Harrison. They selected finalists and winners from 150 nominations from 21 schools. Devon has been a valued member of our club and was recognised for his contribution to our sport of Rugby League. Devon has been the trainer of a junior team within Halswell and also Canterbury. He is also involved with refereeing junior games down at Canterbury Park. As a member of the committee he is alway there to lend a hand where he is best fit. It is an honour to have Devon in our club and as a club would like to recognise his achievements. We look forward to continuing our relationship with Devon.